Actually it's not coupe. It's sedan of first generation with fender, which covers rear door. Not coupe, but looks good. 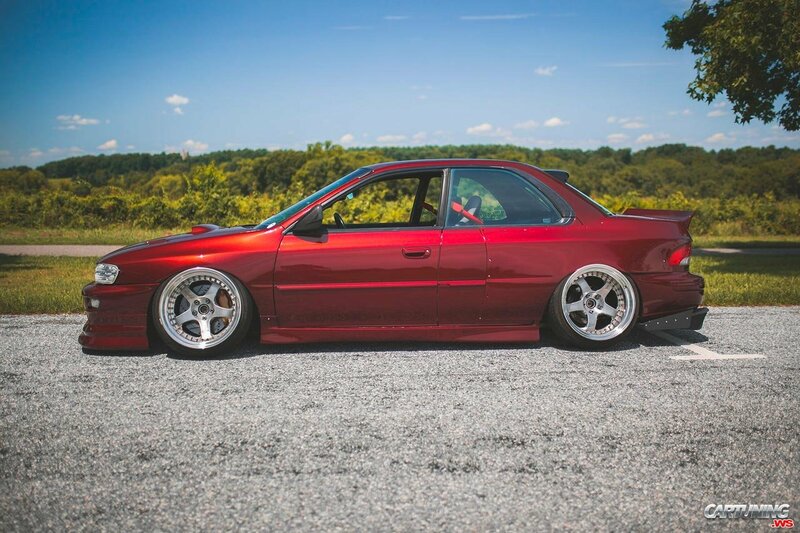 Awesome fitment, polished wheels, quality painting with beautiful color. And even if it's base model - it's not problem to make WRX STI.